The final results of the Németkér Expedition are presented on this page. The total solar eclipse of August 11, 1999 was quite exceptional. 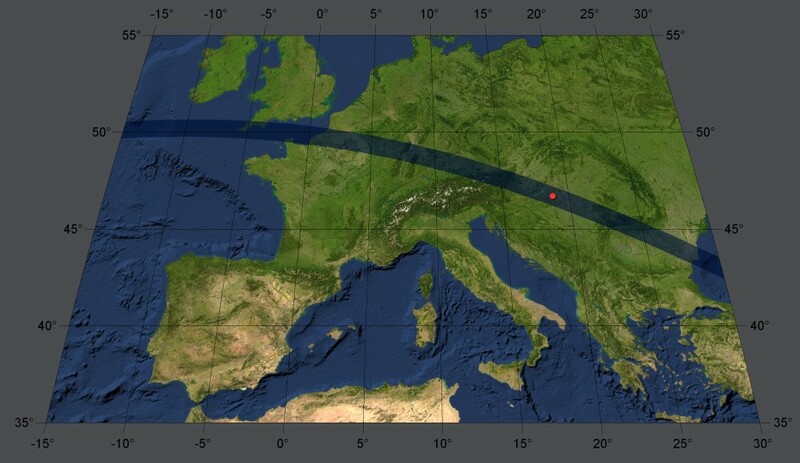 The reason for this was that the path of totality passed through densely populated areas of Europe and only just missed the Czech Republic - the country I live in. The meteorological situation was very complicated several days before the eclipse and therefore the observing place was chosen only about 24 hours before the eclipse according to the mathematical model of cloud cover. The model made by Meteo France was correct and on the chosen place in Hungary (near Németkér village) there was clear sky and excellent observing conditions. The following set of images is likely the most complete presentation of total solar eclipse showing all visible phenomena.